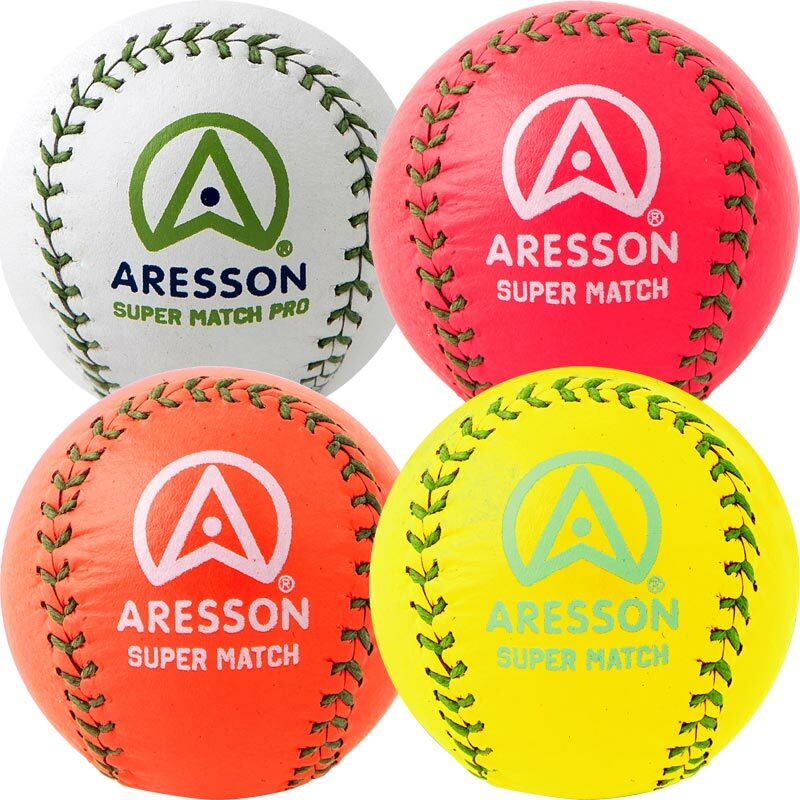 The Aresson ® Super Match Rounders Ball is designed for competitive match play at league, inter school and international level. International quality ball, cork centre, covered with top quality leather. Slightly smaller ball for high speed play. Orange and pink colours ideal for low light conditions.